Gallant old boy who continues to fight on for the Crossed Fingers Partnership, and won this race back in 2016 - the year the Vautour fell early on. Finished fifth in this behind Fox Norton a year later, and would have obvious claims on his win in the Haldon Gold Cup at Exeter earlier in the season. Was pulled up lame when disputing a place two out in the Champion Chase at Cheltenham, so if song can be a player in the finish once again. Quirky character who can produce sublime performances if on his best behaviour, which he did so in a handicap at Ascot before Christmas. Decent fourth at 25/1 in the Champion Chase behind Altior, but has six lengths to find on Politologue at the head of affairs. Many expected this outstanding two-miler; twice a runner-up at the Cheltenham Festival in top contests, to finish second best once again to Altior in last month's Champion Chase. He could only manage a fifth-place finish under Ruby Walsh, but is a top horse on his day and cannot be written off all that easily after one bad day at the office. 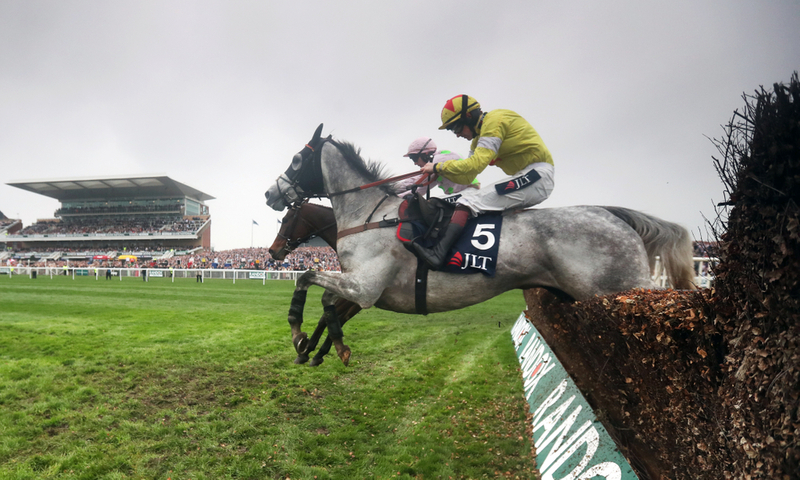 Finished second in this twelve months ago when cruising under Paul Townend, but ultimately failed to get past the grey Politologue who landed the spoils. The forgotten horse in many ways reminded those of his talent when finishing a sensational second to Altior in the Champion Chase. Ran his heart out and perhaps on another day may have won, but still an excellent effort and arrives here as an obvious contender. Won this last year despite the late challenge of Min, by digging in very deeply. We know he stays this distance just not more, so can strike again at this venue. Looked to be back at the top of his game when landing a Listed Race at Kempton over the likes of Black Corton and Charbel back in January, but made the gamble to go for the Stayers Hurdle which did not pay off. One chase start this season provided one victory, so a return to fences is surely a plus. Little horse with a massive heart, can provide another infamous day for his connections. If the Top Notch we know turns up, surely he has a chance to play out the finish. Owner Richard Collins has demanded that this horse is respected by all, given his needs to race on a certain type of surface. The horse clearly needs rain and for the ground to not be too quick, after a spectacular season last term as a novice. Less can be said for this campaign, where he unseated his jockey in the King George on reappearance which was a shade unfortunate, before being obliterated at the hands of Cyrname in his defence of the Ascot Chase. Has plenty to recover from, but should be in the firing line. A real eyecatcher last time out in the Grade Two Webster Cup Chase at Navan won by the impressive Darasso of Joseph O'Brien's. Finishing last of five, he was travelling noticeably well under Paul Townend until a bad mistake four from the finish haltered his progress and he was eased after that. Having gone so well, it was a real disappointment for connections, on a horse who has been in good form this term, with three victories from four - landing a hat-trick at Gowran Park in a Grade Two back in October. Second to Road To Respect in the Grade One Champion Chase, and a real top performer who cannot be ignored.